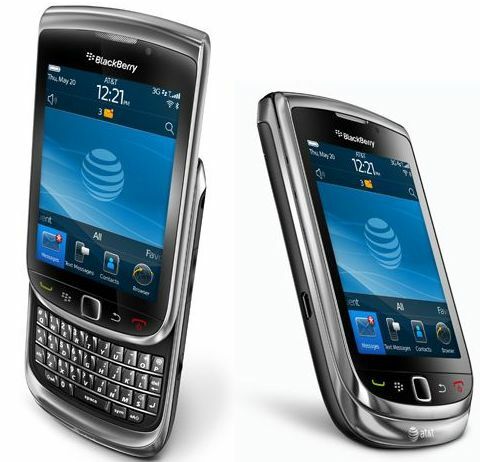 AT&T and Research In Motion (RIM) have officially announced the launch of latest high-performance BlackBerry Torch 9800 smartphone. It’s the cool touch-enabled slider phone which RIM promises to bring a number of new experience for BlackBerry enthusiasts – first BlackBerry smartphone featured with new highly-anticipated BlackBerry 6 OS, first to combine a full touchscreen with BlackBerry QWERTY keyboard, first to support AT&T’s next-generation messaging capabilities, first to get BlackBerry App World pre-installed, first to support AT&T’s new Locations feature, and more. The new sleek, stylish smartphone that comes bundled with a 4GB microSD memory card will be exclusively available to AT&T customers beginning August 12 for $199.99 with a new 2-year contract.